If rent control solved the workforce housing crisis, it would have been the law of the land long ago. Rent Control reduces the supply of rental units, increases prices for properties not covered and prevents those most in need from benefiting. Multifamily developers don’t know what to expect when it comes to budgeting for materials prices. Apartment developers continue to be stressed by the unpredictable cost of construction materials. Developers continue to crank out apartments by the thousands in downtown Chicago, but demand should be so strong that the market can handle it, according to a new forecast. 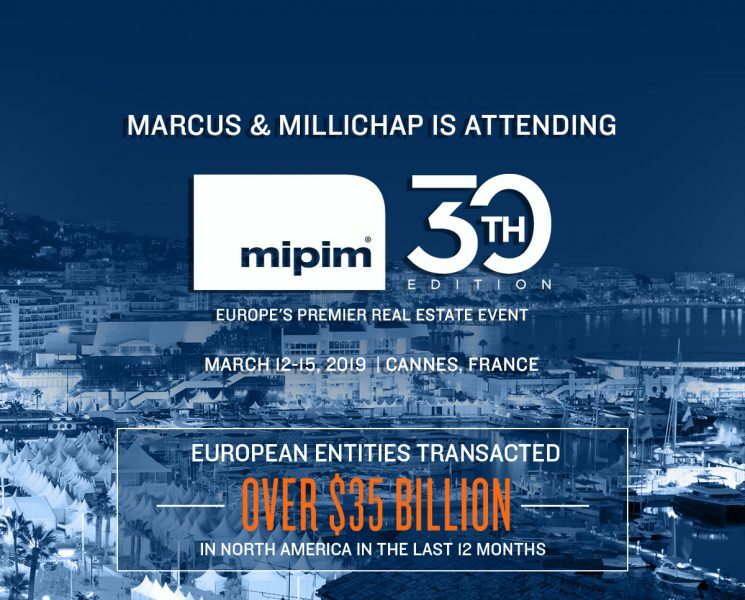 Have an opportunity to expose your property to this vast investment capital pool through Marcus & Millichap's booth and event presence at MIPIM. Marcus and Millichap closes more real estate investment sales than any other brokerage firm—over 60% of which involve a 1031 Exchange. Our leading market position, coupled with extensive investor relationships, gives us access to the largest pool of qualified buyers, including exchange buyers. We don’t just market properties; we make a market for each property we represent. Our innovative communications network (MNet) allows us to present your property to more qualified investors than any other Broker. The process is orchestrated to maximize a competitive bidding environment to proactively solicit higher sales prices for your property.